Dr Horn has been filmed by the BBC, for the Plastic Fantastic series. In 2003, Dr Horn designed the world’s first pectoral implant, which is now used internationally. He is on the specialist registrar of the British General Medical Council, as a plastic surgeon. 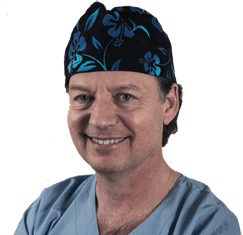 Dr Horn was trained in Paris (Hospital Saint Louis and Hospital Saint Antoine) and graduated as a specialist in Plastic, Reconstructive and Aesthetic surgery in 1988. He has a plastic surgery practice in London, Paris and Brussels. Dr Horn is an expert in buttock and breast augmentation using implants, fat transfer and non-surgical methods.